Western Digital jumped on to the local media streaming bandwagon quite early in the game. With better codec compatibility and a more stable platform compared to other vendors, the WDTV lineup caught the imagination of the consumers. Over the last few years (coinciding with the rise of Netflix), US consumers have tended to prefer over the top streaming solutions. Recognizing this trend, Western Digital has been strengthening their media streamers portfolio with the appropriate features. Today, Western Digital is introducing the latest addition to their WDTV lineup, the new WD TV Live Streaming Media Player. Its roots (in terms of both hardware and firmware) seem to lie in the WDTV Live Hub which received praise from us last year. The industrial design has been updated, and the main hardware addition seems to be the integrated wireless network capability. The internal hard drive has been removed. Local media streaming compatibility seems to be retained. Like the Roku 2 XS, the new WD TV Live has support for single band (2.4 GHz) 802.11n wireless only. However, the network port is Gigabit. Also, Western Digital PR claims that the new WD TV Live (as well as the WDTV Live Hub) supports 1080p video along with Dolby Digital Plus audio for selected Netflix titles. This is something we hope to evaluate and report back soon. The new premium service making an appearance in the WD TV Live (as well as the Hub) is Spotify. As the PR reproduced below shows, the unit offers the full Spotify experience including account management and the social features (such as sending songs to your friend's inbox). In addition to YouTube, the new media player (as well as the WDTV Live Hub) gains access to DailyMotion, a service quite popular in Europe. The last few firmware releases for the WDTV Live Hub have also brought some simple games like Sudoku and Texas Hold'Em. Priced at $99.99, this unit seems to cover all the media streaming aspects missed by the Roku 2 XS. It probably doesn't have the fan following of the Roku or the developer support that Roku provides. We also don't have much hope of it solving the DTS-HD MA bitstreaming issue. However, for the general consumer, Western Digital seems to have lined up a winner at a sweet price point (they could have chosen a better name, considering that the WD TV Live was the name given to the second generation player in the WDTV family). 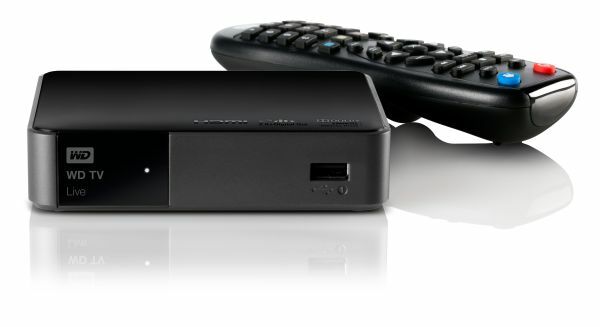 Stay tuned for our review of the new WD TV Live Streaming Media Player. "We also don't have much hope of it solving the DTS-HD MA bitstreaming issue." I have a HTPC right now. Windows 7 + Total Media Theatre + Media Browser = everything I need + bugs. With the Radeon 6570 I have in my primary HTPC I can stream lossless. "I want a streamlined device that does not need maintenance or patches, does not need to be restarted every once in a while, does not experience crashes, etc..."
yeah, they call it the "utopia box" no consumer electronic product is so simple anymore that it won't need updates or won't "ever" crash. Thats the whole point of updates, to make sure you get the functionality with fewer crashes and fewer security concerns. There is this toaster that also cooks bagels... it probably won't need an update. Troll fail. Firmware releases do not equal patches/driver updates. I know there will never be a perfect player, I just named what I'm willing to pay for one that does a few things right. Re-encode your ripped Blu-ray audio to FLAC. FLAC is a supported format and is superior in terms of file size to ALL lossless audio formats supported on Blu-ray.